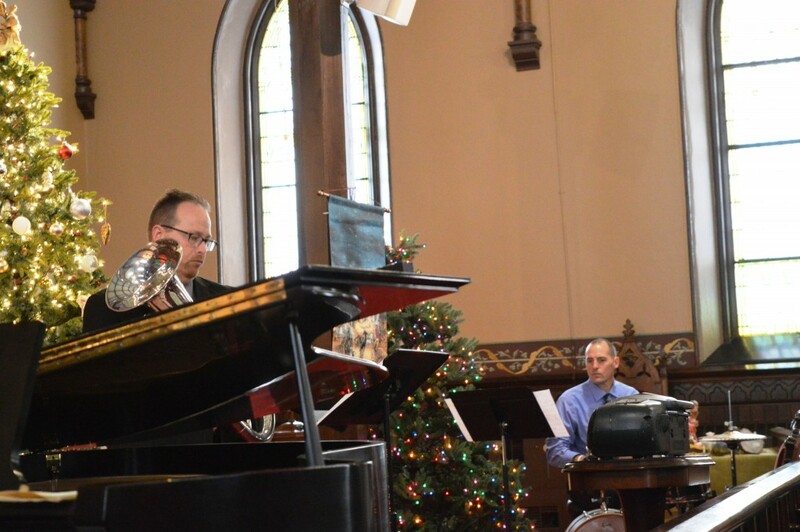 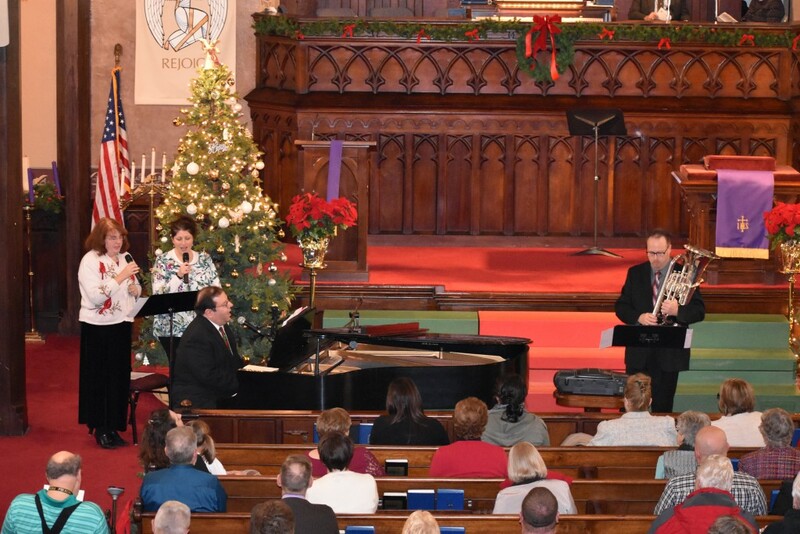 On Sunday, December 4th, a packed house enjoyed kicking off the holiday season listening to beautiful music in a festive setting. 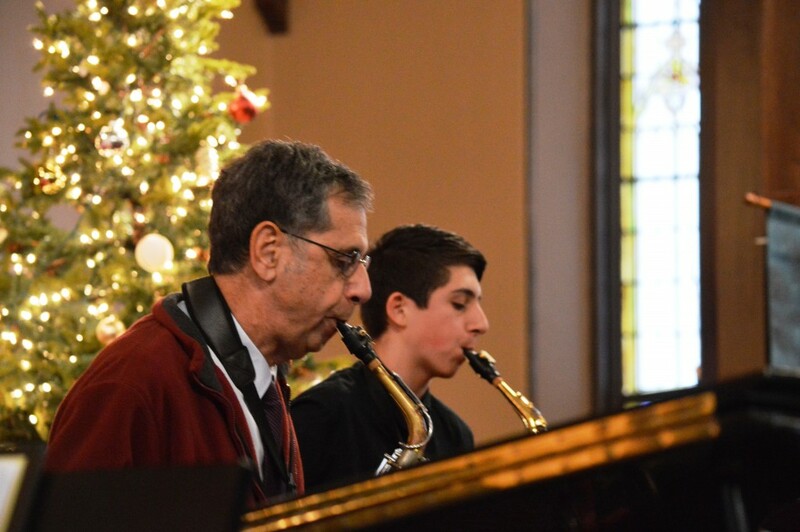 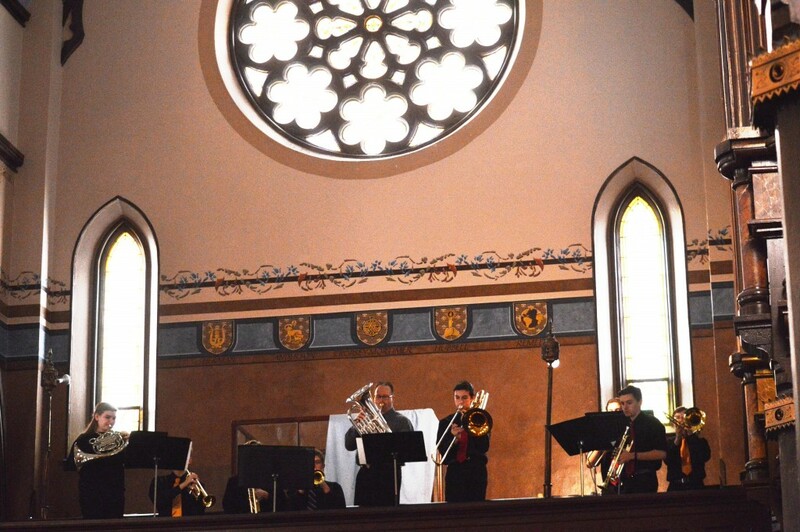 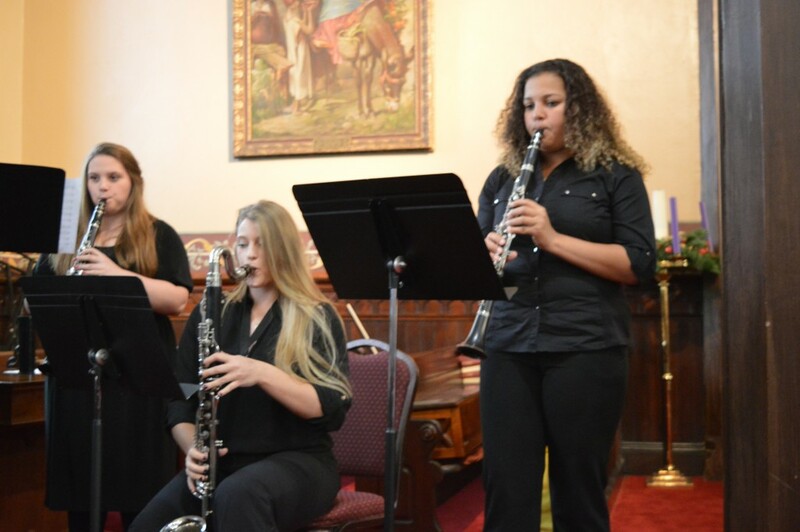 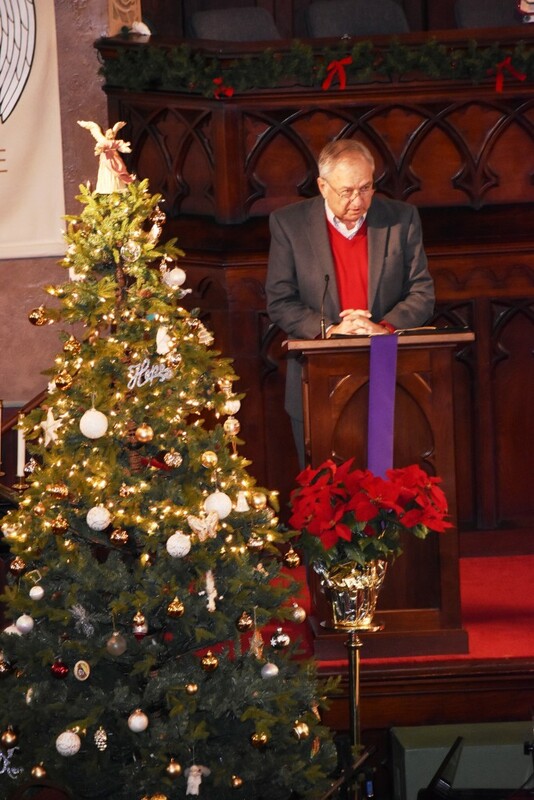 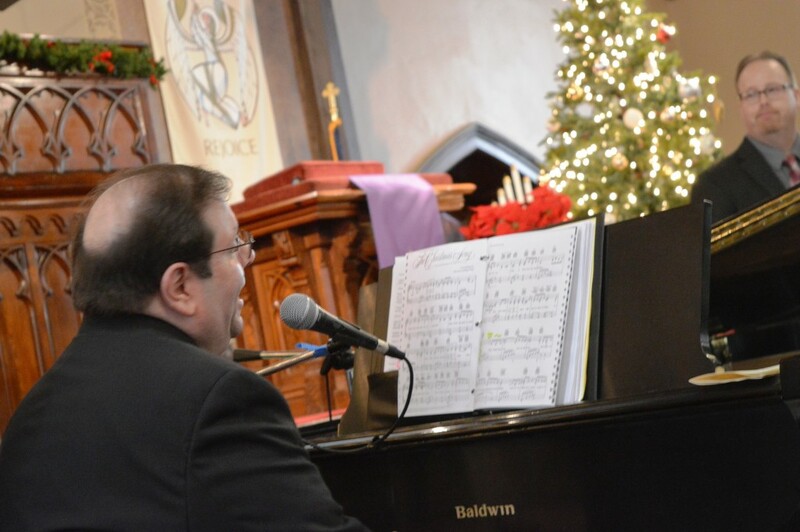 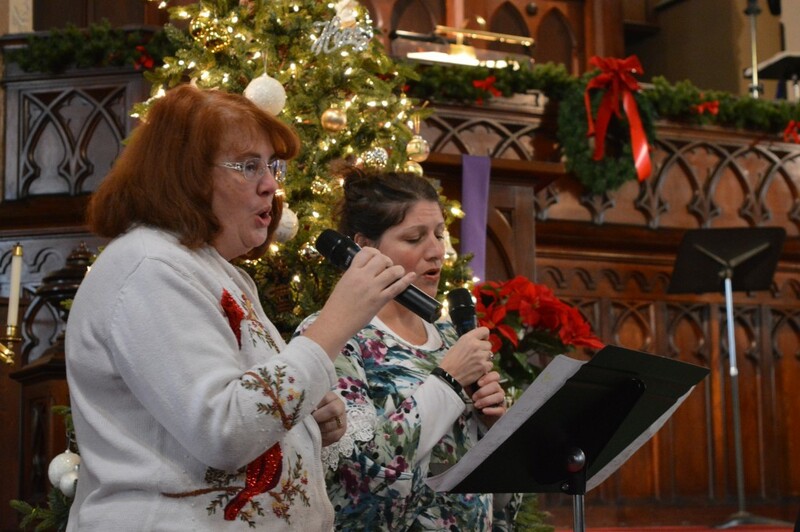 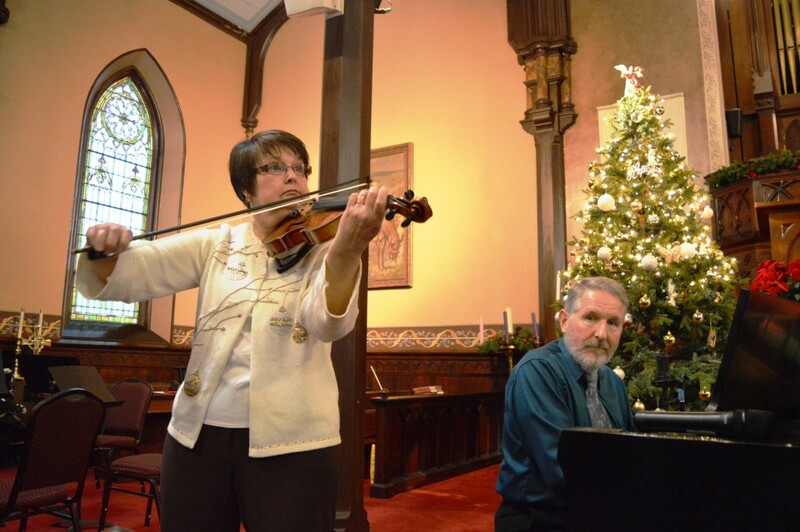 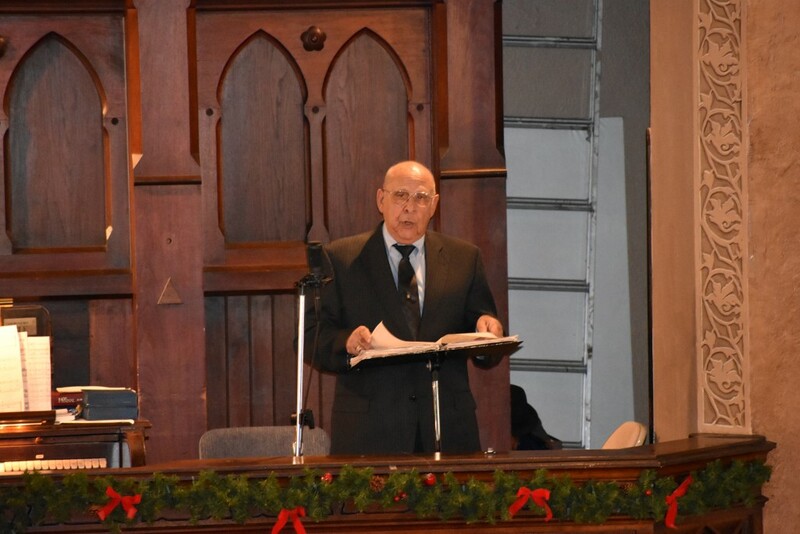 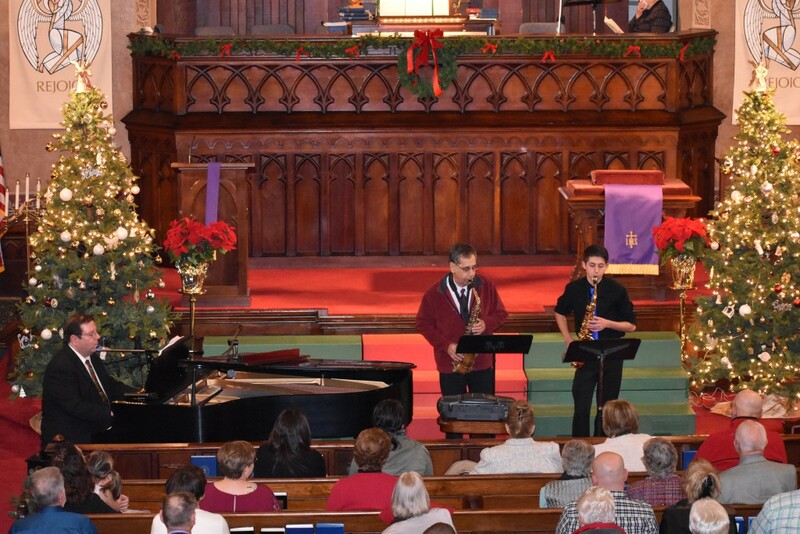 The Albion High School Alumni Foundation and the Albion Courthouse Square presented An Albion Family Christmas event at the Albion First Presbyterian Church. 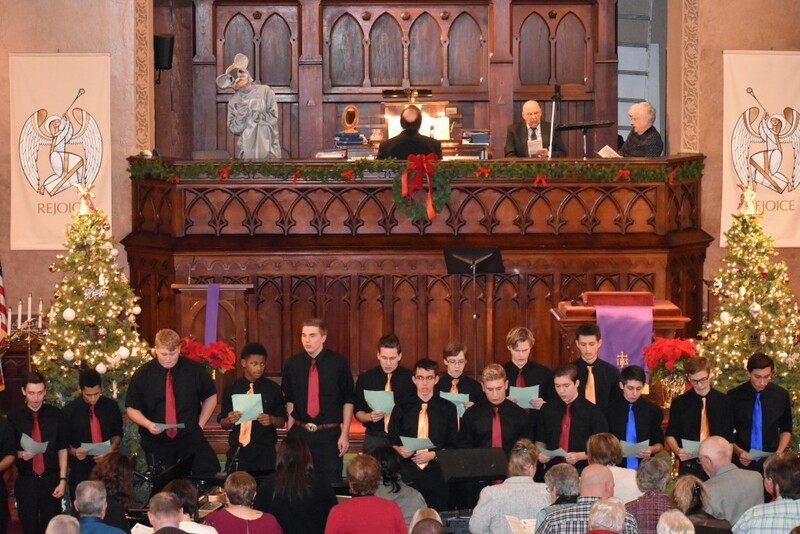 Proceeds from the concert benefit the AHS Alumni Foundation Scholarship Fund, where it will be awarded to various Albion HS graduating seniors to aid them financially as they continue their education beyond high school. 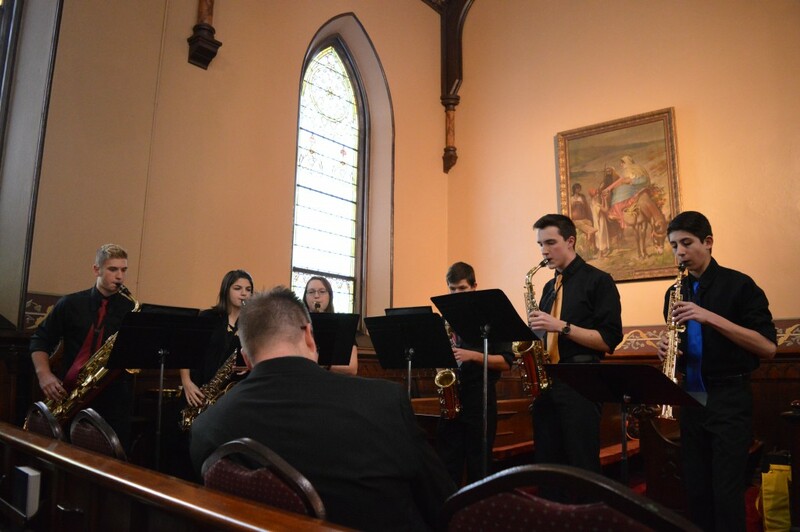 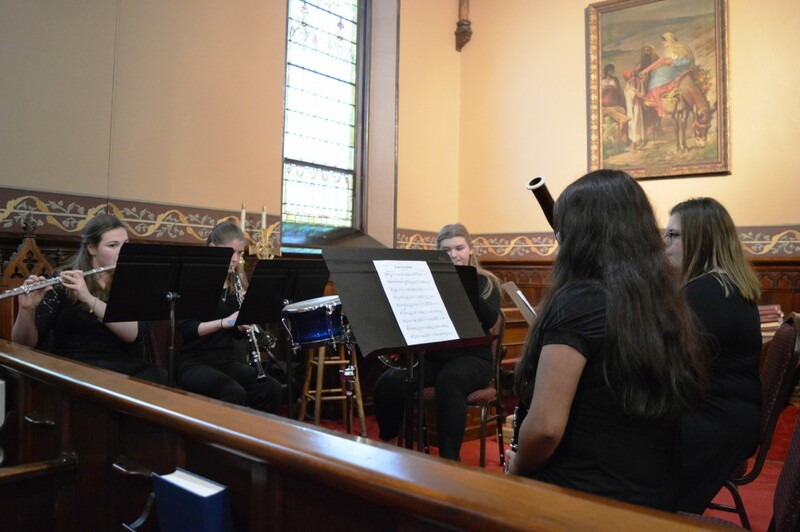 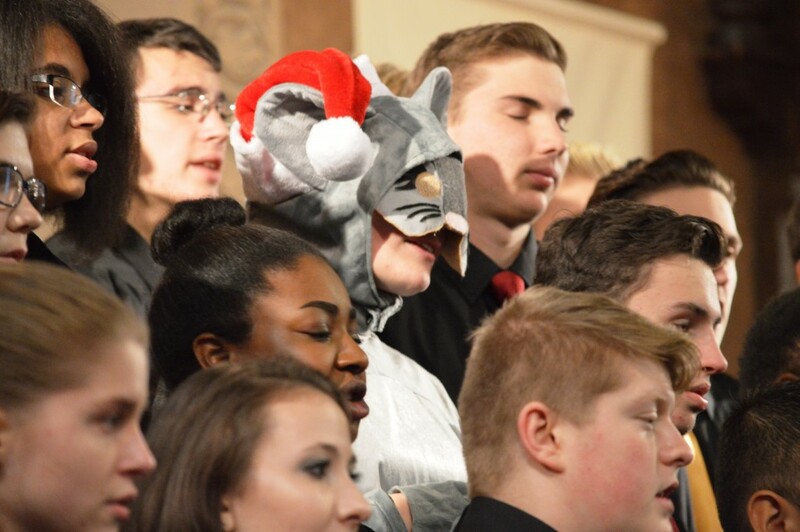 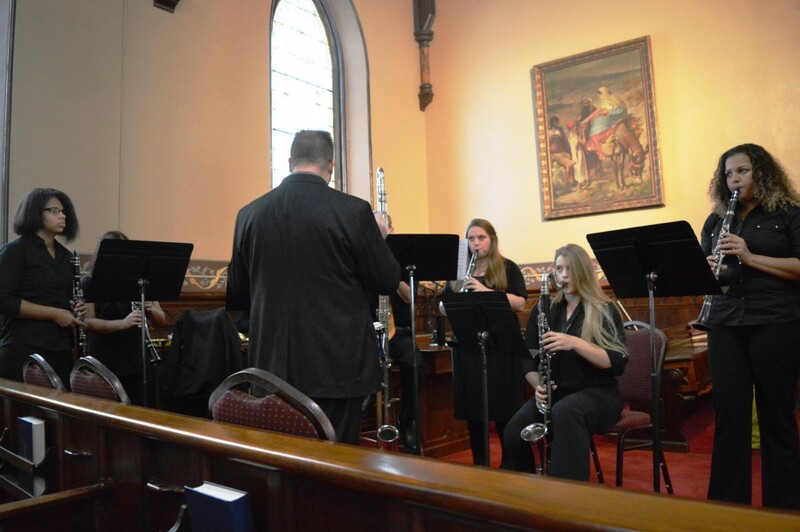 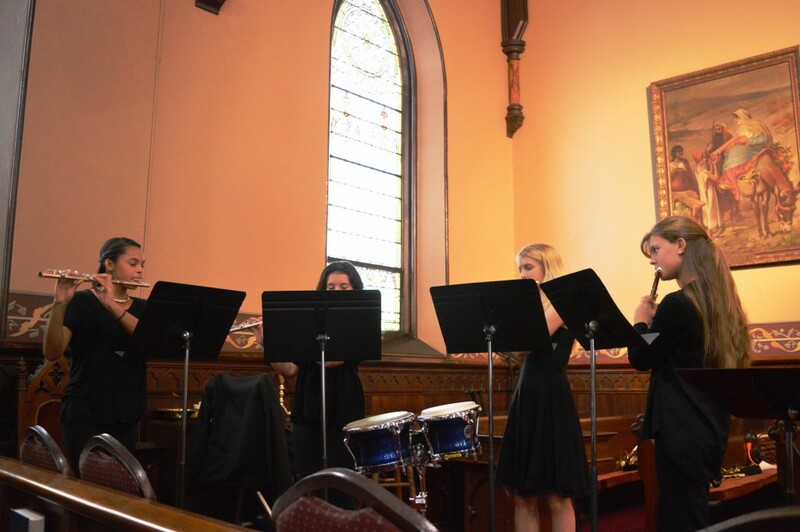 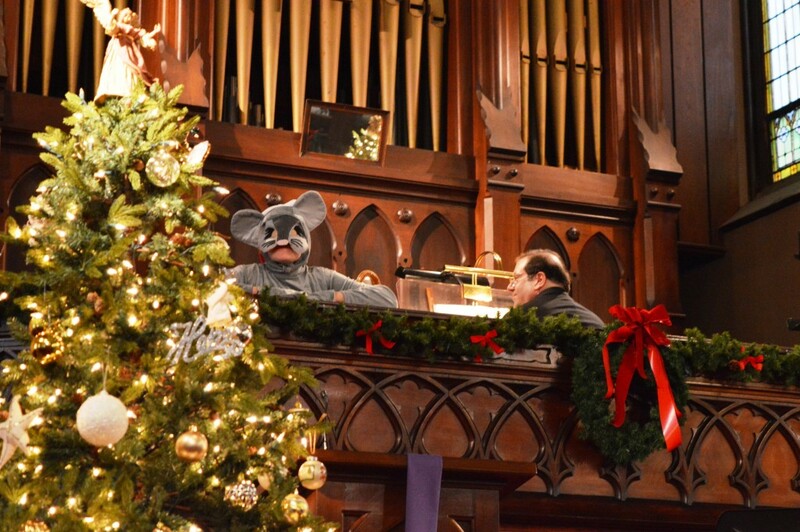 Performances by Albion High School students, alumni, faculty, and other local talent delighted all who attended….as did the special appearance by Cobble, the Museum Mouse from the Cobblestone Museum Complex. 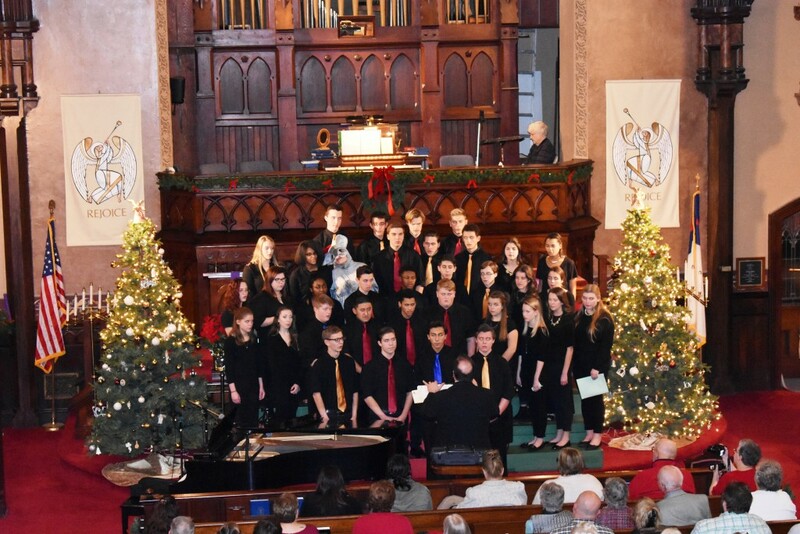 Here are some photos of each of the wonderful performers who donated their time and talent to brighten our day, ring in the Christmas spirit, and support the Albion HS Alumni Foundation. 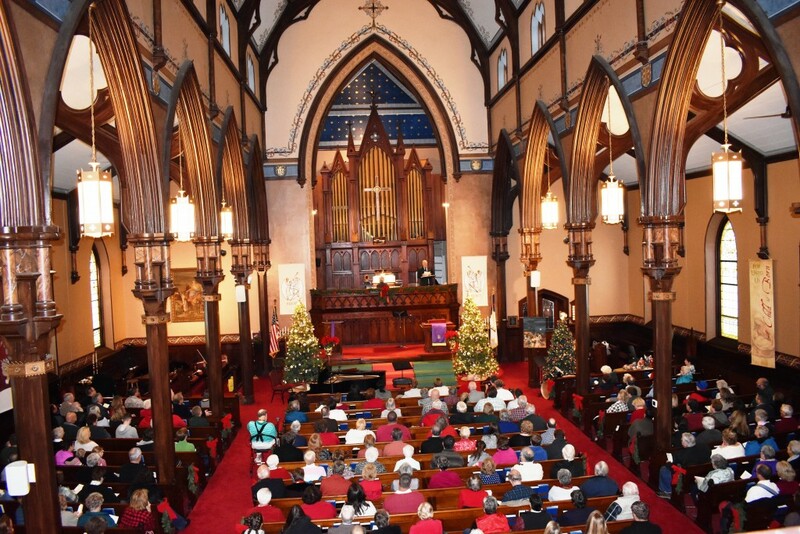 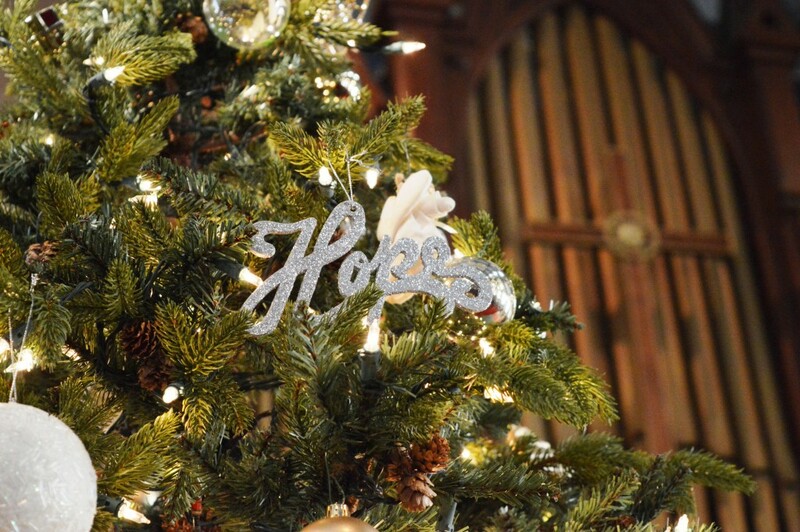 The church was beautifully decorated. 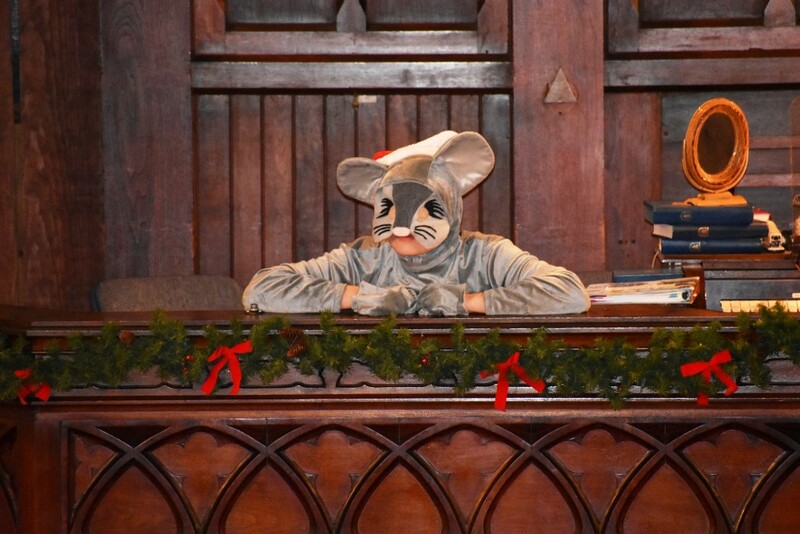 Narration by Jan-Mikael Erakare of stories between performances was a quaint addition to the show. 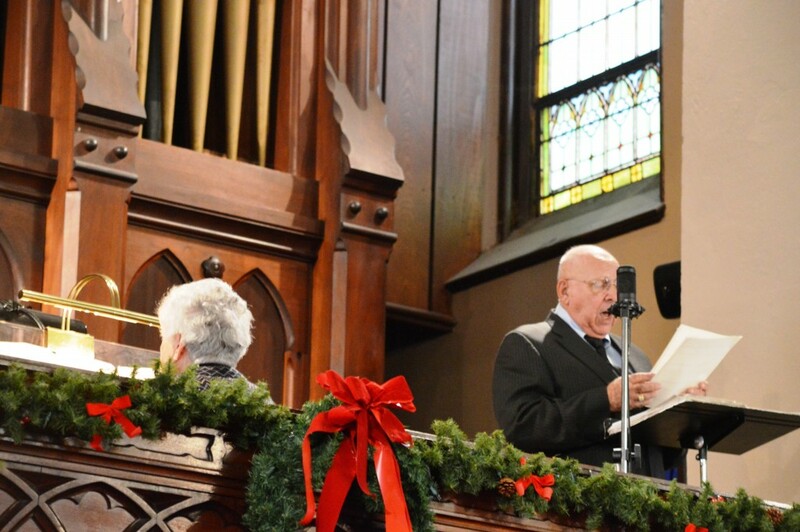 Charlie Nesbitt, AHS Alumni Foundation Board member and Class of ’65 Alum, welcomed the audience. 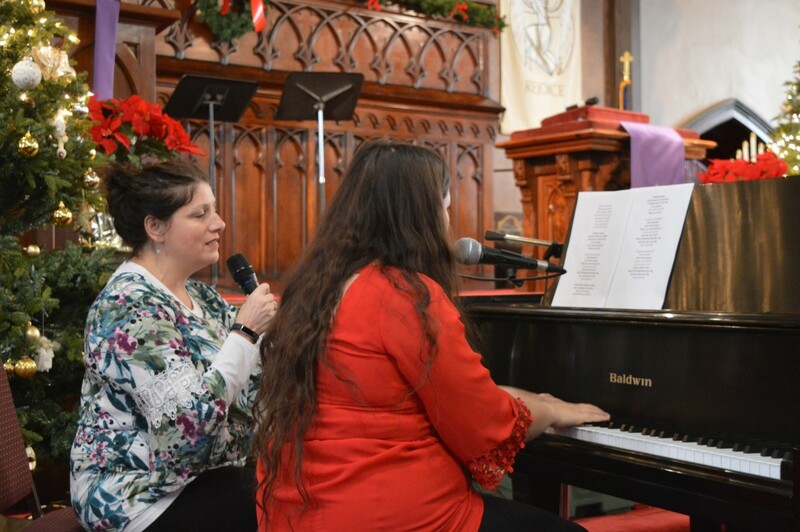 Karen and her daughter, Shannon, performed an original song they composed in honor of Karen’s mother and Shannon’s grandmother, Barbara Kenney. 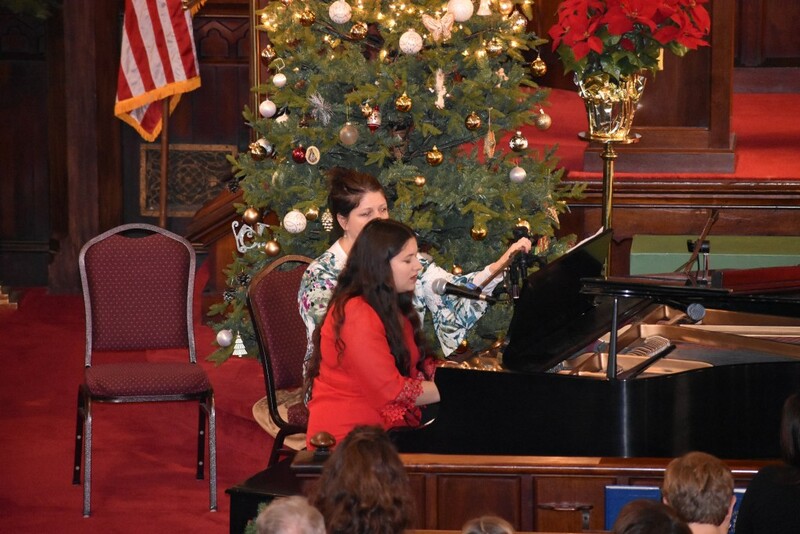 The song is titled “Every December” and brought many a tear throughout the crowd. 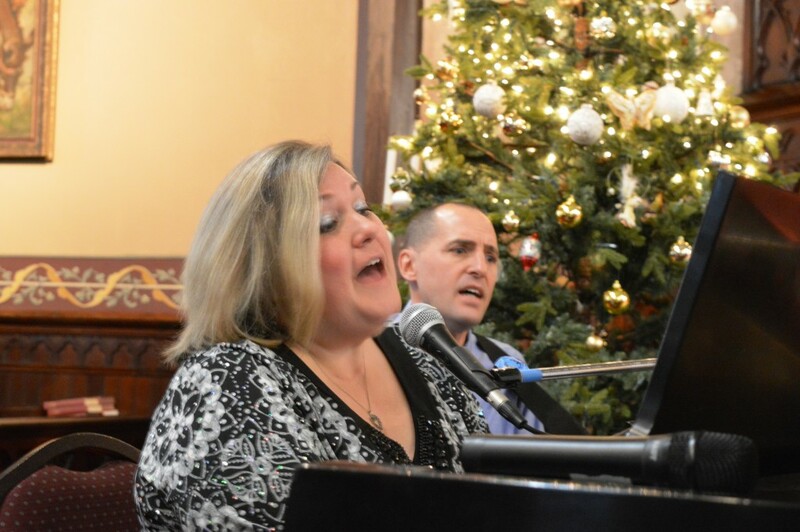 Learn how you, too, can help the Albion HS Alumni Foundation make a difference for a lifetime at our website, www.AlbionAlumni.org or contact us via mail at PO Box 345, Albion, NY 14411. 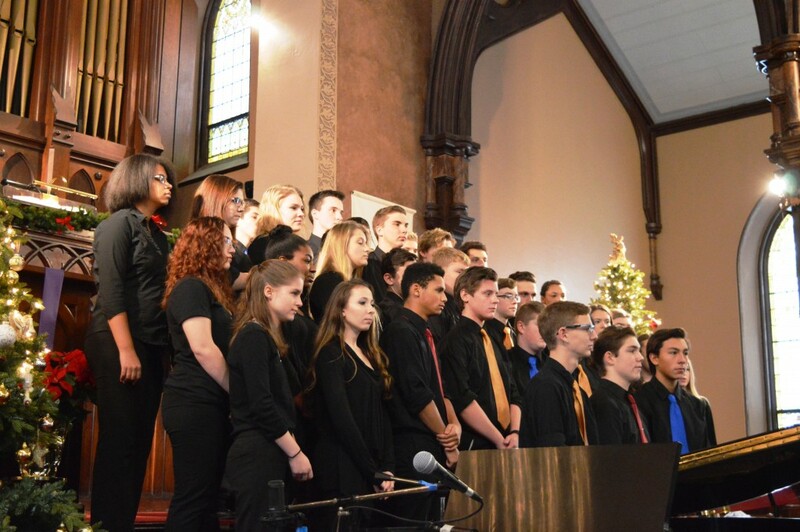 Please consider us with your end of year giving opportunities. 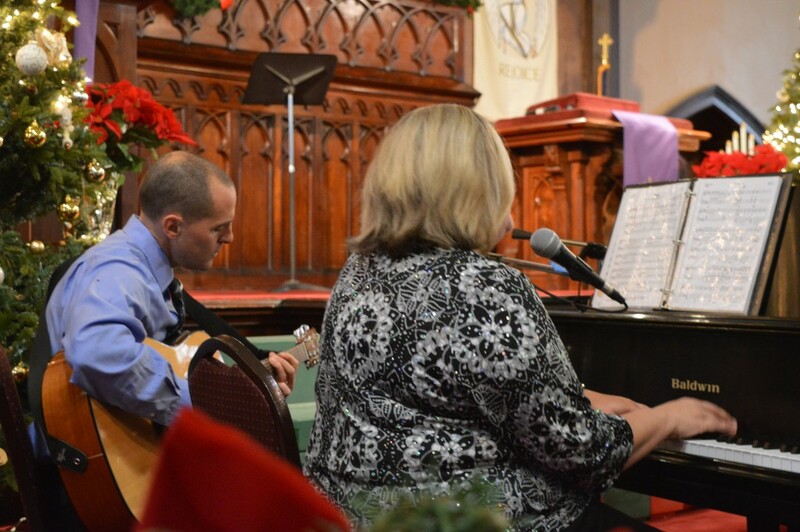 You can also like us on Facebook at “Albion High School Alumni Foundation” and follow us on Twitter @AlbionHS Alumni.